VoIPdito steps up cloud-based communications with its partnership with Voxbone’s iNum service – giving even small and medium-sized businesses the chance to reach out to a broader market and investor base. London (UK), 26th March 2012 – VoIPdito has long been known as a leader in the internet telephony industry. Its innovative approach to communications allows numerous enterprises to revamp their internal and external networks, and enables them to keep up with the steadily increasing rate of global change. As further proof of its commitment to communication development, VoIPdito joins the iNum® network – through which Voxbone offers global numbers that can ring VoIP phones anywhere – to bring forth even more advanced cloud-based solutions to clients the world over. Modern technology has grown by leaps and bounds in the past few years. The internet is one proof of our hold over technology – and if there is any doubt regarding this, one simply has to look around and see how peoples’ lives have changed due to the advent of the internet. Global communication, for one, is no longer a pipe dream. Nowadays, individuals and businesses can communicate with each other in the blink of an eye, share files and important documents, upload photos, and engage in numerous complex transactions such as shopping and research. The communications arena is further added to by such developments as VoIP. Traditionally, the use of VoIP or Voice Over Internet Protocol involved extensive hardware and preparation which could only be afforded by multinational corporations – but this is slowly changing as well. Thanks to companies like VoIPdito, any enterprise can take advantage of advanced communications channels without worrying about exorbitant expenses or tricky hardware. The cloud-based solutions offered by VoIPdito enable enterprises to have faster business processes and engage in a better business model altogether. Furthermore, VoIPdito has now joined the global iNum network, bringing about additional benefits for customers such as free of charge iNum numbers. Needless to say, VoIPdito’s services have upped the ante in internet communications. Clients not only have free internet calls and virtual telephone numbers without having to install complicated hardware – they also have the advantage of innovation and cost-effectiveness at their fingertips. Voxbone the market leader in providing worldwide geographical, toll-free and geographically independent telephone numbers launched the iNum community in 2008 to provide a new kind of global phone number for a new kind of world not bound by geography. 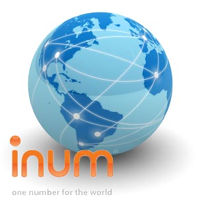 Using the international number range of +883 5100, which the International Telecommunication Union (ITU) created and assigned to Voxbone, iNums enable communications service providers and enterprises to establish a local presence in new markets with a single, portable number reachable from throughout the world. iNums currently support high-definition voice. SMS and presence. VoIPdito Hosted PBX is a next generation communication platform that belongs to a diverse portfolio of Level 7 Systems Ltd. The company is one of the most highly innovative and reputable names in the Internet telephony industry. Based in London, VoIPdito was founded on the premise that the future of business communications would relay heavily on communication over the VoIP (Voice over IP) protocols. VoIPdito speaks of meticulous quality, unparalleled service and expertise, as well as ground-breaking technology. In addition, VoIPdito develops solutions that are tailored to a specific business requirements and are extremely helpful for increasing productivity and lowering telecommunication costs.